If you have other sites you would like added to this list, please . Here we present a selection of interesting modeling related links that we think you'll enjoy exploring. To keep things interesting, we'll be updating these with new links as they come to our attention. If you know of any other non-commercial websites that you think the rest of us would like to see (or if any of these turn into 'missing links'), please . Central Nova Scotia Modelers A non-profit group with members from central Nova Scotia who build models of all types, from tanks and ships to science fiction and airliners. IPMS Canada The International Plastic Modellers Society is a unique, world-wide organization of hobbyists who enjoy plastic scale modelling, run on a voluntary basis, by modellers, for modellers. 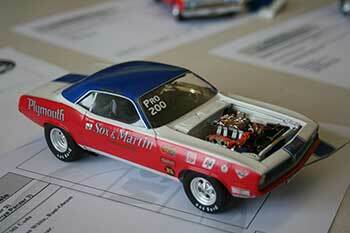 IPMS International Plastic Modellers Society, USA site. Hyperscale Definitely on most virtual modellers 'top five' list of modelling sites anywhere on the Web! Updated almost daily, mostly centred on aircraft subjects. There are trading, picture posting, and discussion areas to explore. Model Airplanes A web site about the hobby of building plastic model airplanes. In this site you will find a complete guide on how to build model airplanes, tips, techniques, and recommendations. Tony Matteliano's Modelling Links At last count Tony had over 1500 links to modelling sites. If you wan t to find anything related to this hobby, visit Tony's Link Site. Track-Link A resource site for armour modelling, with all sorts of neat gen. The GSL Championship was created in 1979 to provide an encouraging, objective, and a hospitable venue for sophisticated scale vehicle modelers, regardless of their interests, to compete where craftsmanship and technical innovation would be recognized and rewarded. NNL East Hosted by the Tri-State Scale Model Car Club, NNL event is a non-competitive gathering of model car builders	and enthusiasts.